This Super Sunday Smoothie was so delicious I wanted another one right away. It’s chocked full of great superfoods and hydrating elements, which makes it the ultimate protein packed recovery drink! Blend (with or without ice) and enjoy! 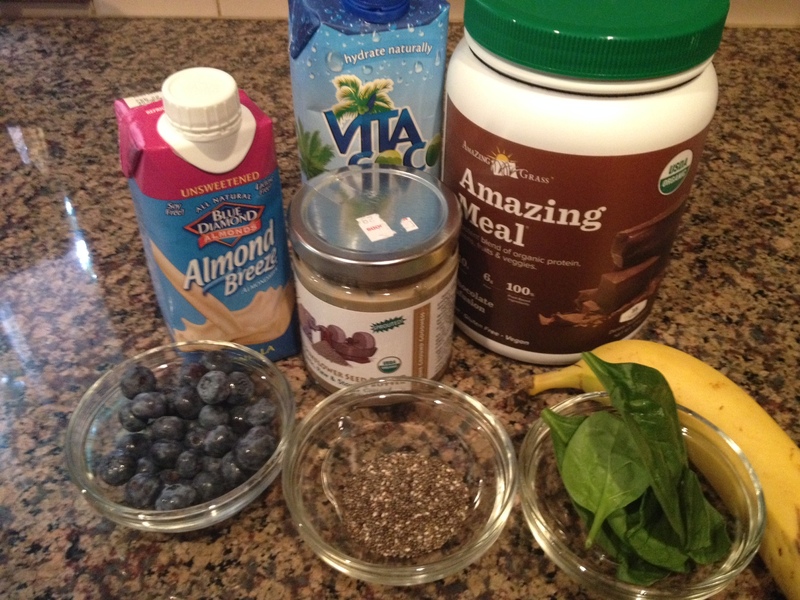 I also make this ahead to be able to sir it up and drink it right after a workout! It’s not pretty looking, but tastes amazing! Cheers to a haute and healthy Sunday and a fabulous week ahead!